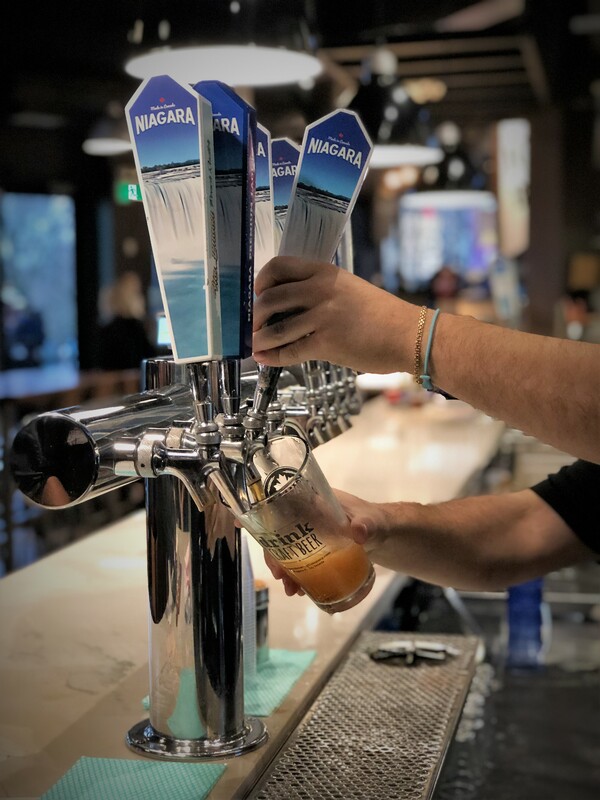 On the footprint of the historic Foxhead Hotel, where many a baby-boomer celebrated their High School Prom, then perhaps wedding, sits one of Ontario’s finest breweries – Niagara Brewing Company. From the moment you step into the looming, multilevel establishment, you are family. The ambiance is hopping (pun intended) but not too loud for table or bar conversation. 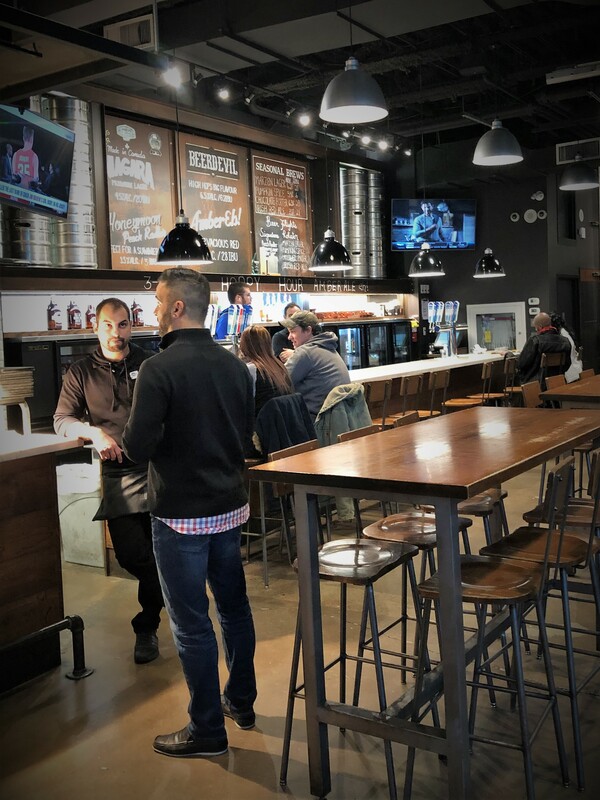 You are warmly greeted, and can choose to remain bar-side, or settle comfortably on one of two floors of functional industrial decor – both generously equipped with large screen TVs. 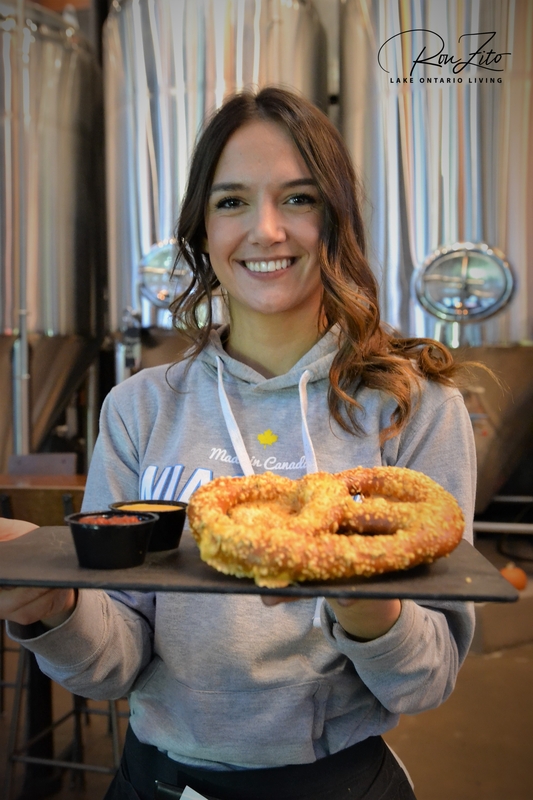 The visuals clearly attest that Niagara Brewing Company, who opened their doors in June 2015, is in the business of some serious malting, mashing, fermenting, and so on. 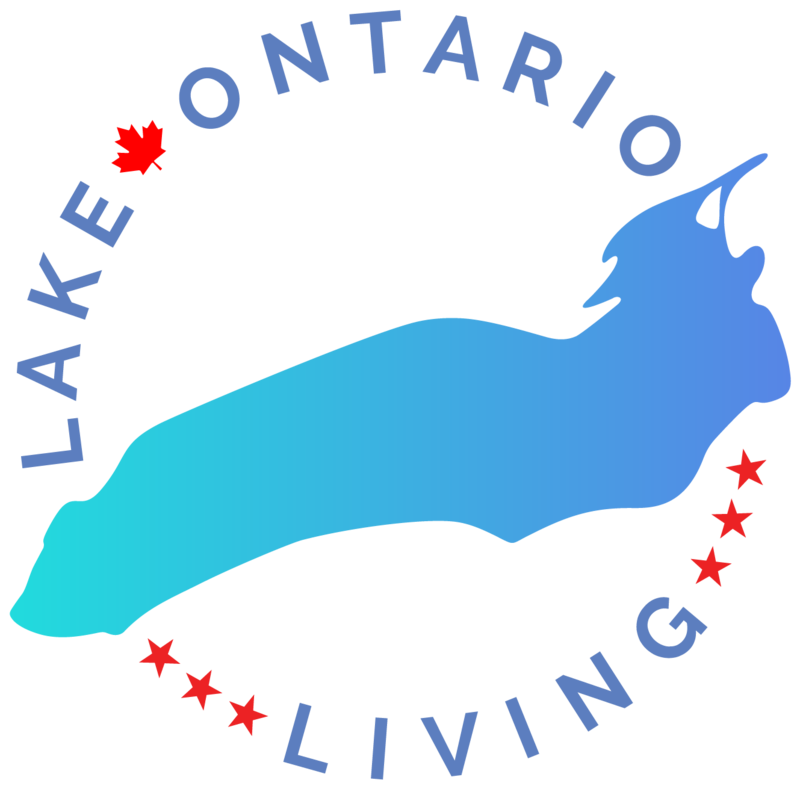 If you are fortunate enough to meet Brewmaster Nick Neheli, you will immediately see why this brewery has been recognized as a formidable contender in Ontario. 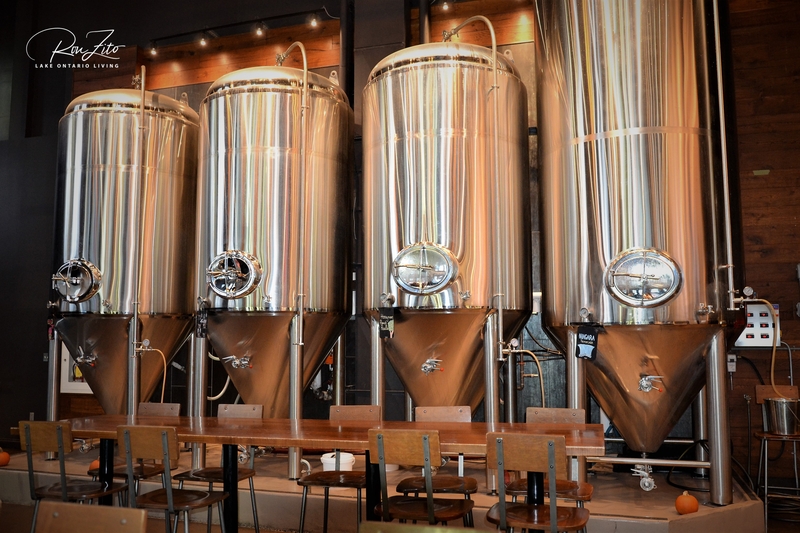 Nick’s journey to brewmaster is as unique as the delicious beers that he churns. Armed with a degree in Microbiology, Neheli took a detour to pharmaceuticals to start a family and see his, now young adult, children through school. 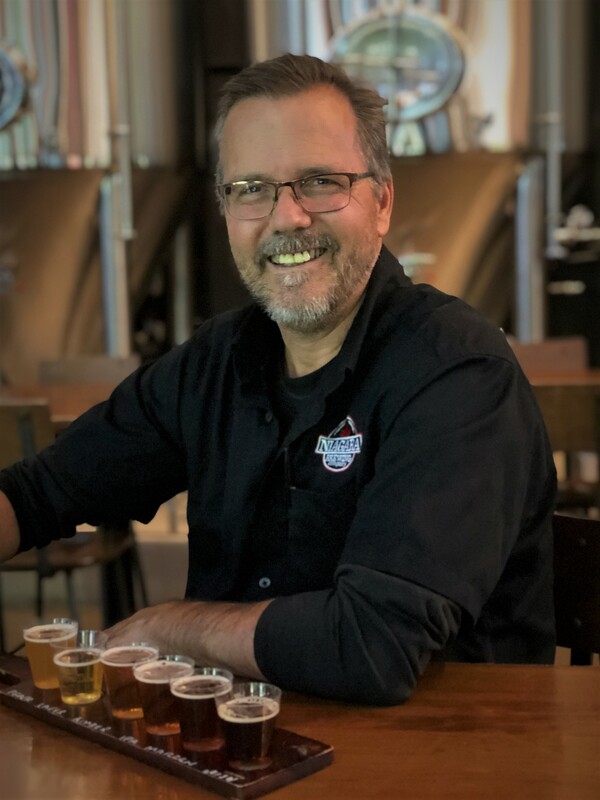 Then, as an empty-nester, he again embarked on his passion of beer processing with NBC to create unmistakable flavors like Irish, Peach, Chocolate, Laser, Amber & the famous Ice Wine Beer (scheduled for pour in mid December). His enthusiasm for all flavors is contagious, so it would be my recommendation to start with the flight. My favorite was the Irish, with a story of its genesis that only Brewmaster Nick can spin. 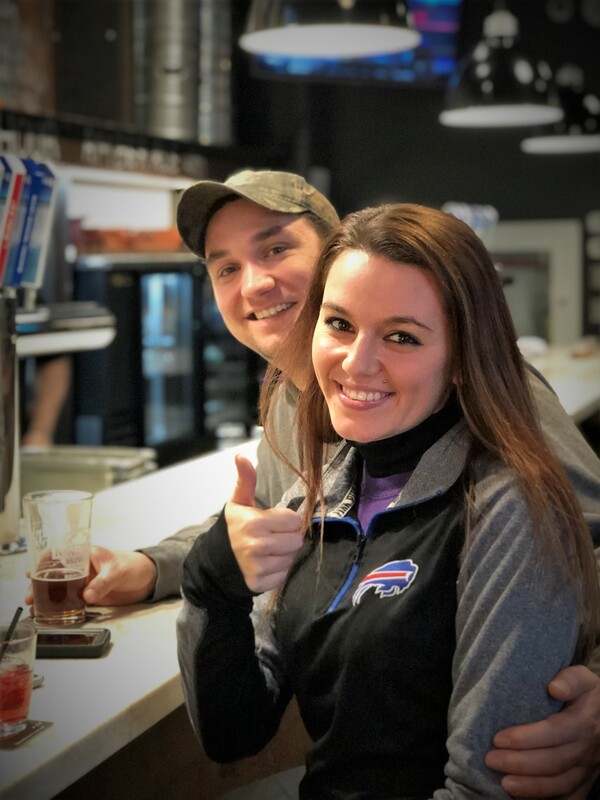 While the tasty brews & ambiance are the primary draw, NBC’s Kitchen includes appetizing bites, as well as, daily “Hoppy Hour” and Live Music. Special shout out to the lovely Doruntina! 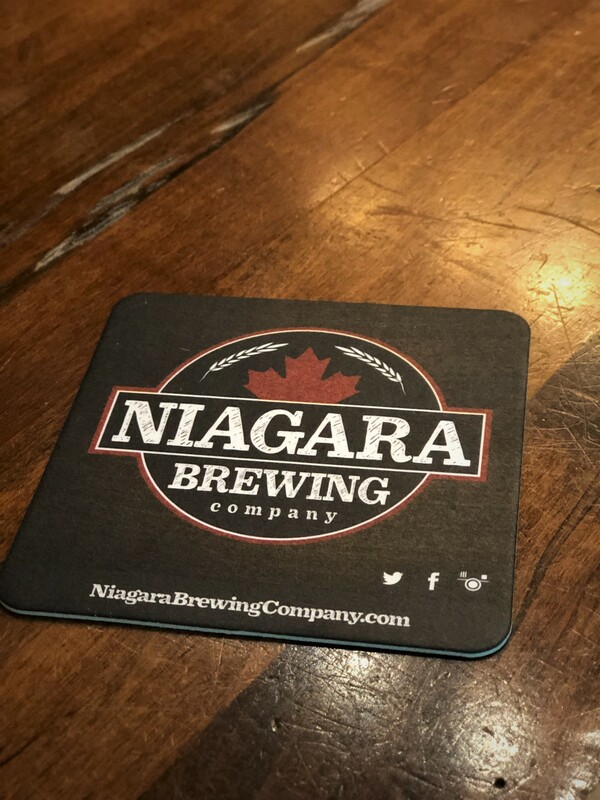 Make the trip to Clifton Hill, just over the Rainbow Bridge, and discover this “Pot-O-Gold” hot spot for all ages at Niagara Brewing Company!